I can't tell you how excited I get at the mention of a SALE. I am one of those people that regularly browse shop catalogues, signs up to email subscriptions to stay in the loop for sales and lines up in ridiculously long lines at toy sale time. Yup, that's me! WELL Stampin' Up have outdone themselves with this sale and I am bringing it all to you. The best part? You don't even have to leave your house! I didn't want to write a ridiculously long post that would be hard to take in so I am going to leave you with a few links and you can watch my short video with some information about the sale! I have even created a wish list for you to download, which will make it super easy to prioritise the things you want the most ~ I think I will need a few printed out. Haha! Some tips for the sale. 1. Download the sale flyer. You can do that here. 2. Download your exclusive wish list. Really great way to keep track of the items you want most. 3. Watch the below video to see how you can get an additional 20% off some of these sale items. That will make some items 60% off! 4. Don't forget this a WEEK long sale, HOWEVER there are two special sales which happen for 24 hours ONLY on the first and last day. You will see this documented on the sale flyer. So who wants to know what is at the top of my wish list? It was a really hard decision. Almost like picking favourite children! Luckily I only have one of those! #1 ~ The Enamels Shapes bundle. Who can really go past that? These are such a staple for whatever type of crafting you do and I love that you will have one to match whatever project you are making! Such a bargain price. #3 ~ Large Numbers Framelits Dies. These are at the top of my wishlist. I have actually been wanting these for a long time and at 20% off, who can say no? #4 ~ Confetti Hearts Border Punch. 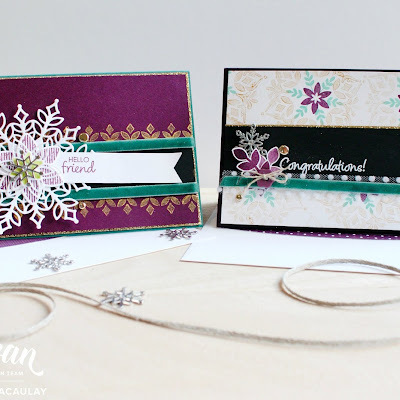 Cute little borders but also fillers for shaker cards! Valentines! #5 ~ Sprinkles Punch. Pretty much for the same reason as above and would coordinate so well with the upcoming Occasions catalogue which as a word of warning has LOTS of gorgeous birthday themed goodies in it. 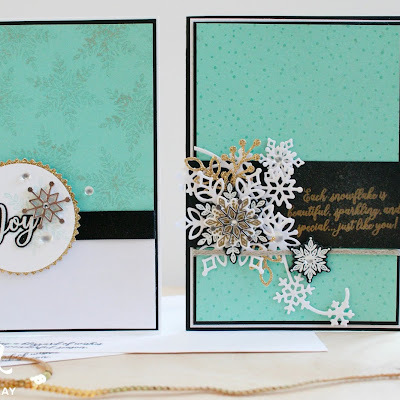 #6 ~ Mica Flakes Trio Pack. I think I am on a bit of a shaker card roll but these are gorgeous, not just for the festive season for sure. #7 ~ The Hello December products including card kit and accessory pack. 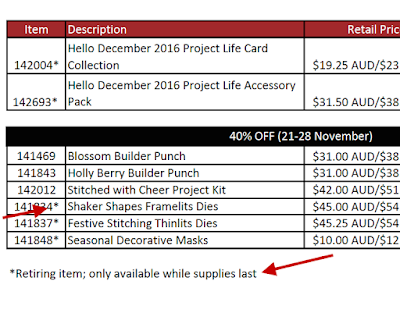 Ummm...at these bargain prices and just in time for those December Daily projects. You will want those because all of December I am having daily inspiration posts with these. #8 ~ Cheerful Tags Framelits Dies. Thought I would chuck this one in. Word of warning: It will coordinate wonderfully with a brand new upcoming product. #9 ~ Stitched with Cheer Project Kit. A great one to buy if you want to get crafty and get a few last minute Christmas cards/gifts made. OR this would be a perfect gift for that crafty person. 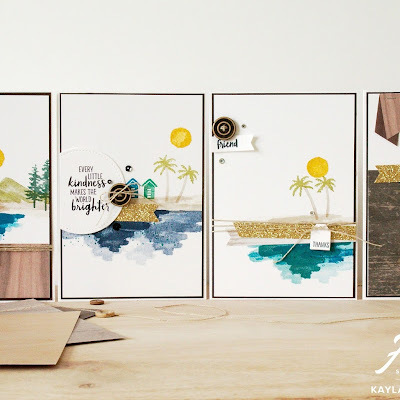 #10 ~ Glamper Greetings Stamp Set. I had to throw this one in just because I think it's so cute! 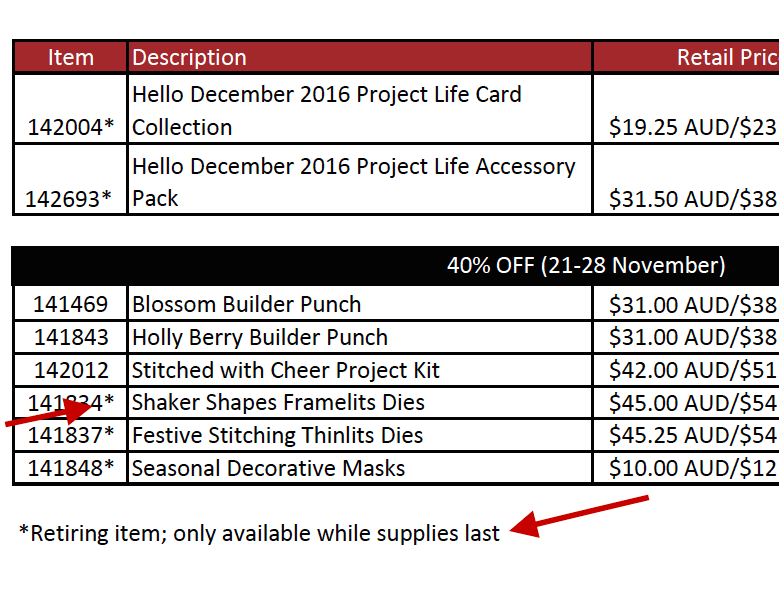 Please take note, some of these products that are reduced are retiring. 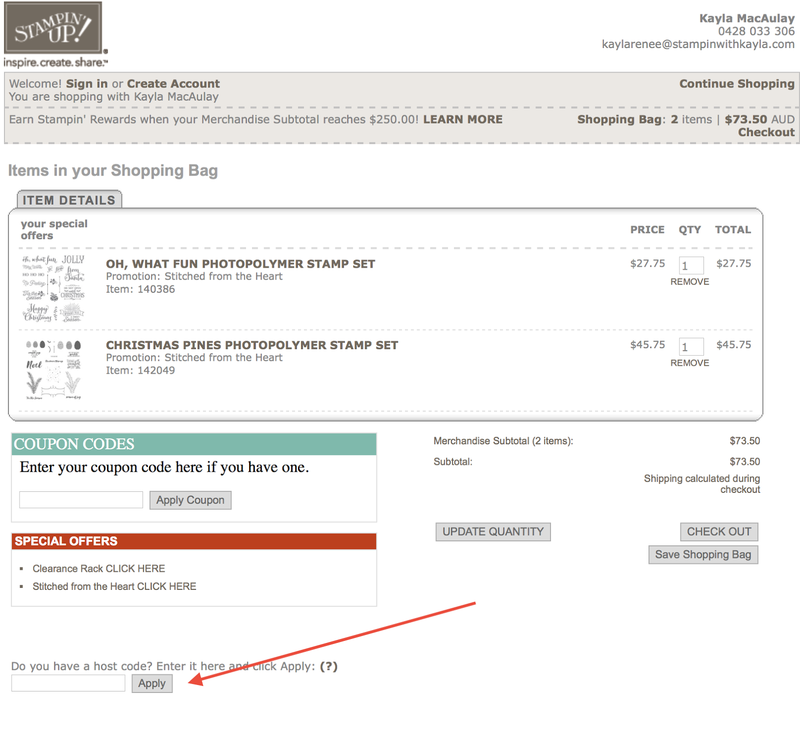 Not all but you will notice that Stampin' Up have made it easy for us by telling us which ones are. Here is a snapshot of where you can find this information and you may find it useful if some of these products are on your wishlist, to buy those early on! Lastly, the thing you will want to do to earn MORE FREE GOODIES is use my monthly HOSTESS CODE. By doing this you will be entitled to free goodies that will be ordered at the end of each month and posted to you early in the consecutive month. Below you can see a video on where to add your host code when prompted. 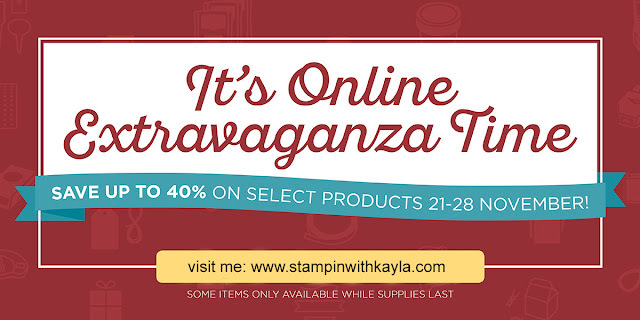 I hope that this post has been informative for you and I hope you enjoy the sale as much as I am going to !